Malibu~ Magical, Mythical and Amazing! There’s a certain magic in the air in Malibu. I feel it every time I am there. The highlights on this most recent trip included the simply amazing Open House I went to on Malibu Road. The view from the deck off the Master Bedroom is shown in the above photo. 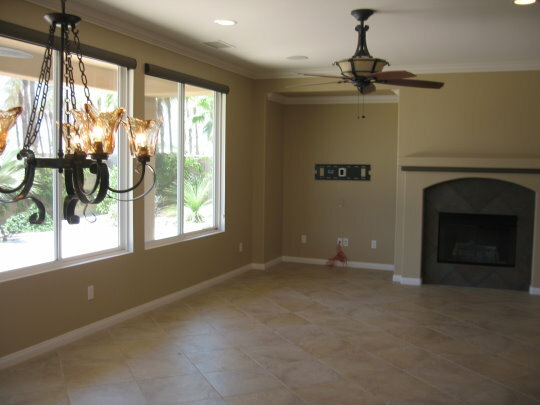 The minute you walk into the house you are mesmerized by the views of the ocean and the sea breeze caressing your face. This house is available for sale at $14, 950,000, which I am sure is negotiable. If you or anyone you know is interested in buying it, please contact me! I can represent your best interests and ONLY your interests. Besides the stunning views, features in this 4 bedroom, 4.5 bathroom 4110 square foot home include a Lutron Control home automation system, beautiful stone floors and simple spare lines throughout. 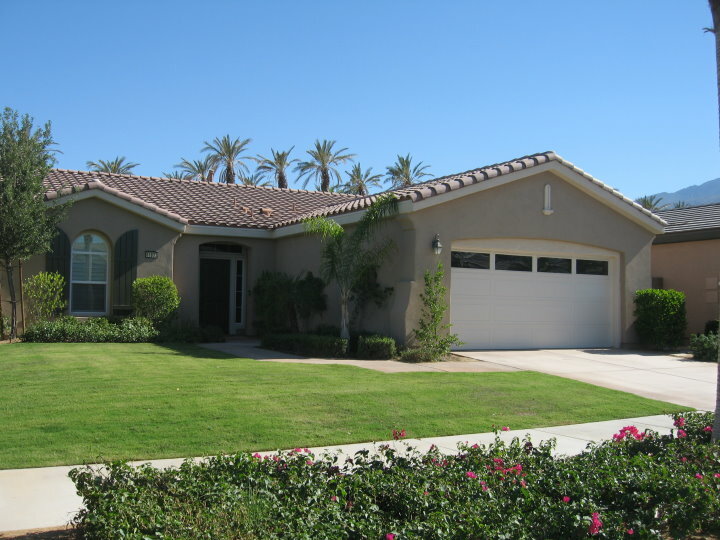 The neighboring homes are spectacular as well, so you will be in excellent company. 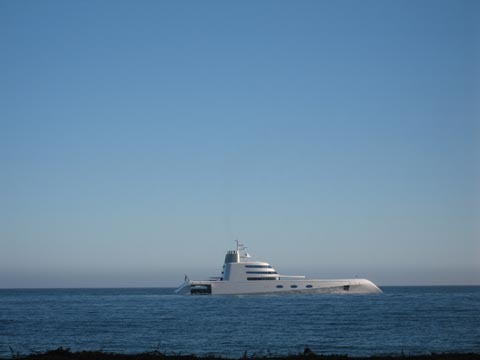 If that wasn’t amazing enough, the $300,000,000 mega-yacht named simply “A” was anchored just off-shore, within view from all the Malibu beaches. 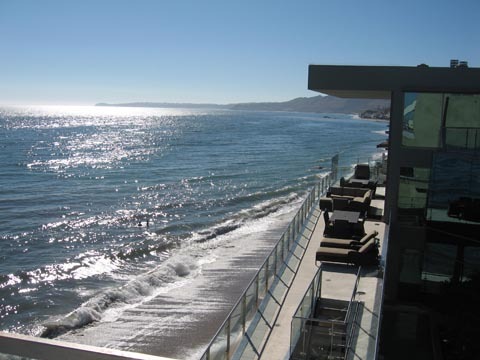 The best view was from the prestigious Carbon Beach, where many homes of celebrities line the shoreline. Carbon Beach is also a wonderfully wide stretch of sandy shore. This unique mega-yacht is owned by 38-year old Russian oligarch Andrey (also spelled Andrei) Melnichenko who is married to a Serbian former model. They married a couple years ago on the French Riviera, and he flew in Christina Aguillera to perform for their guests. Rumor has it that the gazillionaire is planning to purchase up an entire block of homes in the Venice Canals in the beachside town of Venice, just down the coast from Malibu. A source posted on the internet that his title company confirmed that title requests were submitted on such a block there. Nearby the Malibu Road manse is the Lumber Yard, a fabulous space, only about two years old in the Crossroads shopping area, just off PCH or Pacific Coast Highway. This sleek but laid-back spot offers chic boutiques, restaurants and specialty fooderies, hair stylists and home decor. If you’re hungry, you will enjoy Cuban/Mexican fare at Cafe Habana, owned by super model Cindy Crawford’s husband Rande Gerber, who owns many restaurants, bars and lounges around the world. Or you just might want to satisfy your sweet-tooth at Crumbs Cupcakes or the geletaria, which offers Italian style gelato and frozen yogurt. Yum! It’s great for people-watching, too, not to mention dog-watching. They love their dogs in Malibu! James Perse offers delicious complimentary drinks, the Arnold Palmer, which is an iced tea-lemonade mix, as well as nice lounges outside to relax on, if you are in the mood. Often, there is a mellow musician playing, adding a low-key soundtrack to your day. 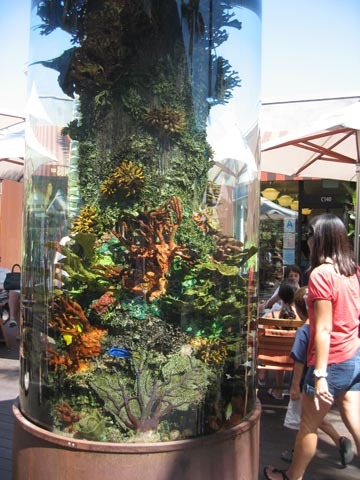 There are a couple cylinders with various fish, coral and sea plants in them. One is tropical and another is the California sea coast marinelife. The vast majority of people in Malibu seem to be incredibly mellow, friendly and helpful, adding to the magical quality of time spent there. 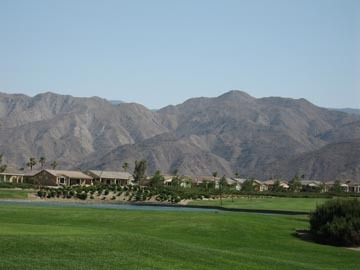 It’s a great place to go to in order to escape the desert heat in the summer! 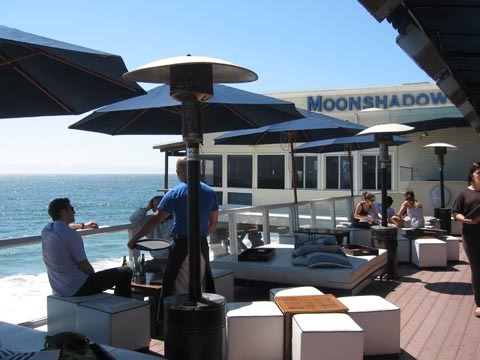 Another place I love to start my day of exploring Malibu Beaches, boutiques and real estate, is at Moonshadows, located right on Pacific Coast Highway. 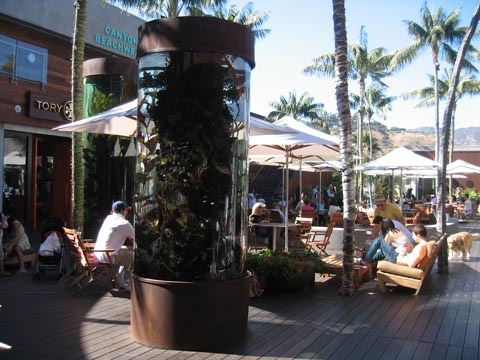 It’s especially fabulous for lunch or brunch so you can take full advantage of the incredible ocean views. You are literally sitting over the ocean! You can’t get much closer than that to the ocean without getting wet! Great food, reasonable prices and a friendly staff is why I continue to return there and highly recommend it. It’s only about 45 minutes away from the Coachella Valley, but once there in Idyllwild, you feel as if you are in another state, like Colorado, or even another country, like Austria, perhaps. That’s because it’s about a mile up above from the desert floor, and in an entirely different climate zone. 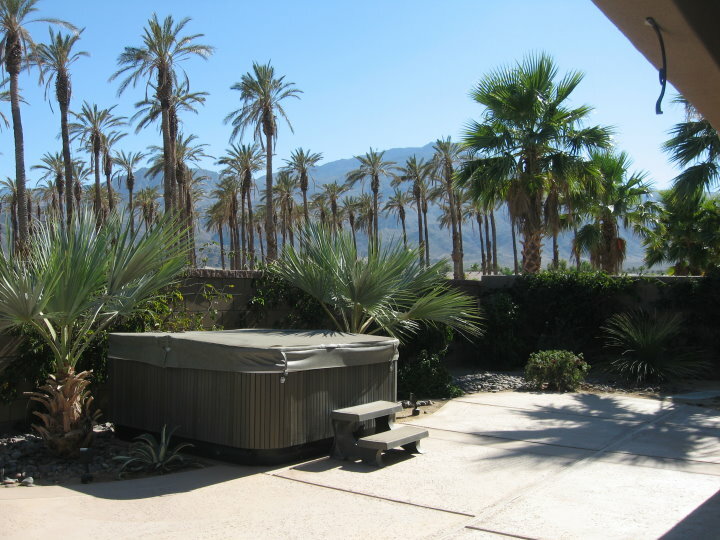 The temperature there is always lower than in the desert, so it’s a great getaway in the summer to escape the desert heat. Bring a sweater just in case! 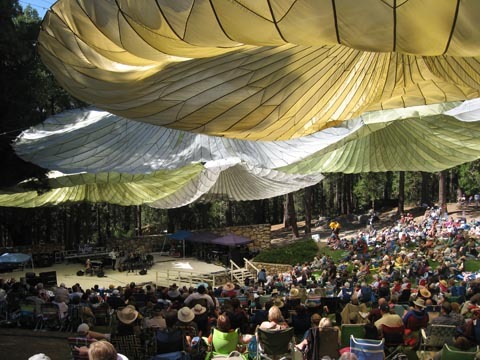 Having a great jazz festival to attend is a great added benefit of visiting Idyllwild. Every year, you can count on Jazz in the Pines to deliver some smoking jazz from dozens of great musicians. This year the main draw was David Benoit, the famed smooth jazz pianist, accompanied by Eric Marienthal on sax, David Huges on electric bass, and Jeff Olson on drums. Mellow, whimsical, hot and sweet, a real show of talent. Last year, Pete Escovedo and his daughter Sheila E and the rest of the immensely talented Escovedo Family wowed the audience. I am a huge fan of their music and have one of their CDs. They put so much intense, fun and hot energy into their playing and performance, with the Latin and jazz rhythms, with an emphasis on drums, that just about everyone was on their feet dancing including yours truly. I got so carried away I even stomped on my new sun glasses, which couldn’t be fixed, alas, but it was such a great time. Thank goodness I never spend too much on sunglasses anyway! 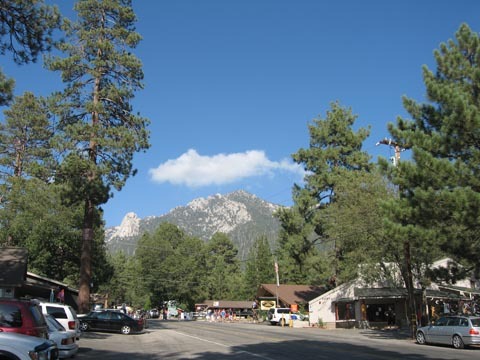 After the concert, it’s fun to check out some of the cute stores in downtown Idyllwild, over which looms Tahquitz peak also known as Lily Rock. On another day, plan to go hiking up there! It’s a great way to spend the day. You might have worked up an appetite after all that dancing or hiking, and my favorite place to go apres concert in particular is Aroma Cafe, a sophisticated but rustic and romantic restaurant with great food and atmosphere. If you want something a little more casual, try The Greek Place, right downtown next to The Red Kettle, which is a great place for breakfast, in particular. This time a cute gray squirrel was dining on a pinecone over head, and was tossing some of his kernals down on me. At the end, he tossed down the entire core of the pine-cone! I thought that was pretty amusing, since we don’t have squirrels down in the desert. 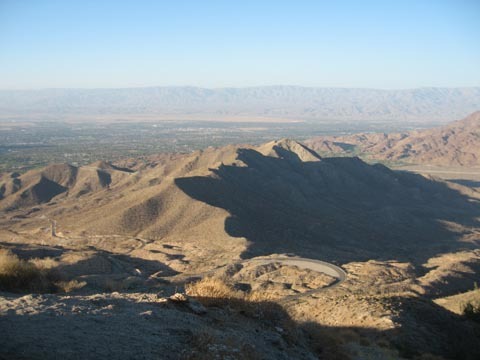 The ride back down to the desert is a little hairy for some, with the hairpin curves and breathtaking views, but if you cruise at a reasonable pace, then it’s really not that scary. There are events that happen throughout the year in Idyllwild so keep an eye out for what’s happening. Another great event there is the annual Art and Wine Festival, which is really a fun feast for the senses. You might want to stay overnight at one of the many inns there if you decide to indulge in a variety of fine wines. 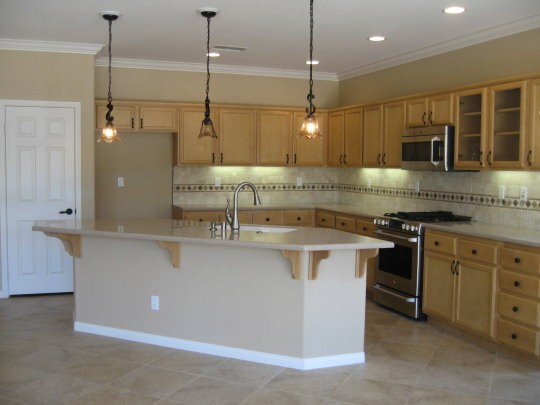 For more information about Idyllwild, visit: http://www.idyllwildcalifornia.com.